Come to think of it, I can’t imagine that the smell could get any worse. So, why not! 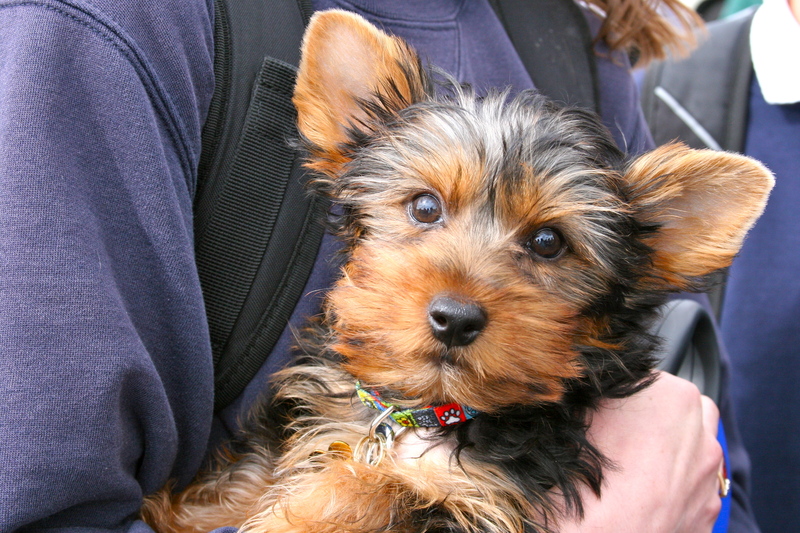 He’s just too darn cute to say “no” to, anyway! For Earth Hour, that is. It’s 9:00 p.m. on the West Coast; we are about half-way through our Great Switch Off. I’ve been following the progress of the event throughout the day via Twitter and Facebook, but I’ll be anxious to hear the overall numbers when it’s all said and done. I’ve also been following their posts on the Earth Hour blog which includes some amazing pictures from around the world. I’m really looking forward to seeing the pictures of the Golden Gate Bridge going dark! A number of landmarks that didn’t participate in Earth Hour last year chose to go dark for Earth Hour 2010, including Mount Rushmore, the Great Pyramids, and Niagara Falls. You can read more about the number of countries who chose to participate this year in this National Geographic article, Earth Hour 2010: Record 121 Countries to Go Dark. One last comment…using a flashlight to torment the cat is even more entertaining in the dark! This Saturday, March 27th, the entire world will come together to fight climate change one darkened light bulb at a time. What started in Sydney in 2007 as one city making a statement against global warming has become a world-wide phenomenon. Last year more than 4,000 cities around the world, including San Francisco, turned out their lights for one hour demonstrating the idea that anyone and everyone can make a difference. Will you join us this Saturday? To learn more, watch the following video and then visit EarthHour.org. I hope everyone enjoyed Marie’s visit today. I know I certainly did…love that infectious laugh of hers! I loved how open and honest my students were with her and with each other; I especially loved how respectful you all were of each other, always listening and waiting until your classmates were done speaking. That was awesome! 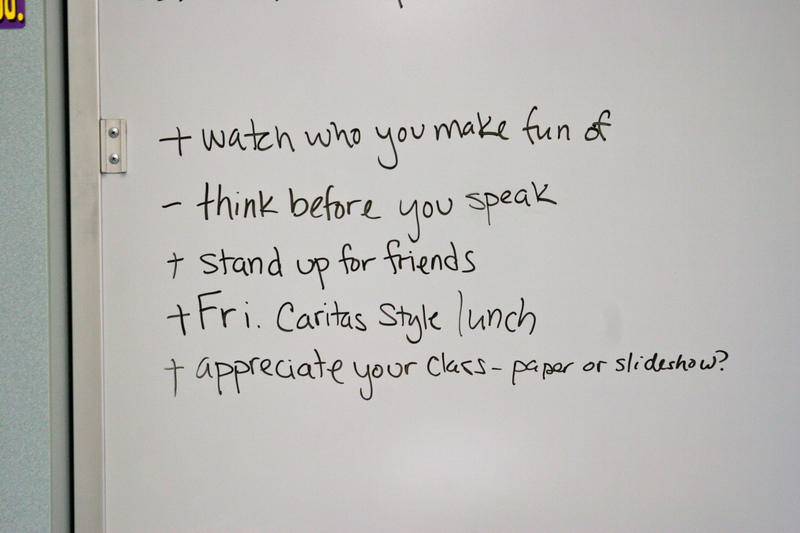 Just as a little reminder of what everyone agreed to today, I took a picture of what Marie wrote on the board. What else can we do to move forward as a family and finish this seventh grade year strong? 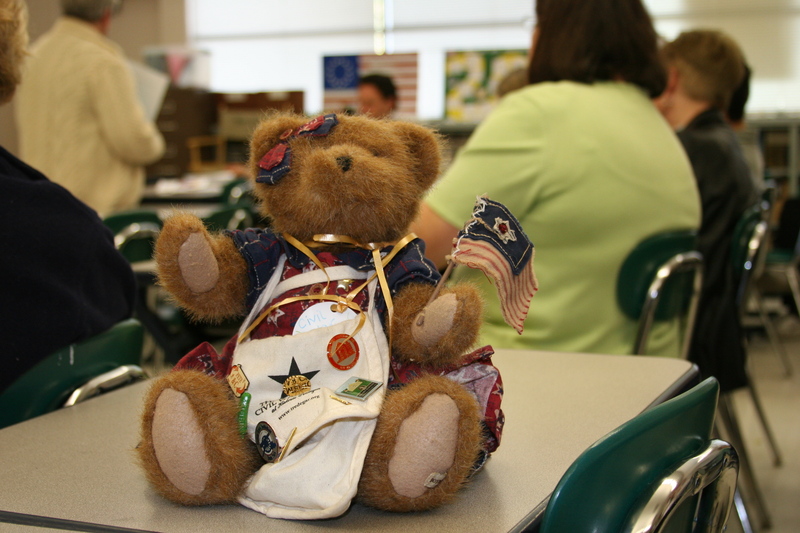 Civil War Sallie joined us at CTK this morning and is hoping to visit with each of the classes. 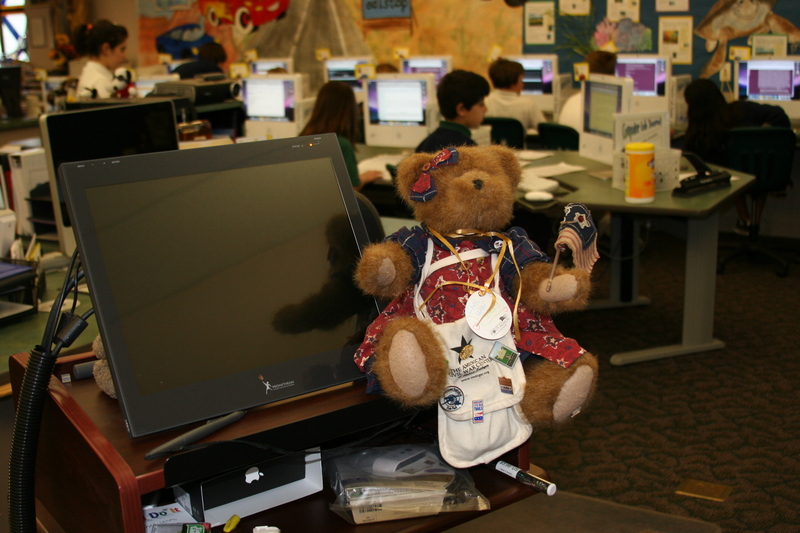 Her goal is to encourage the study of the American Civil War as well as the use of technology in education. While we don’t study American history in seventh grade, the eighth graders are working on a project that will help everyone learn more about the War Between the States. Later in the morning it was time to sit in on the eighth grade social studies class. They’ve just started studying the Civil War, so Sallie got to listen to us talk about slavery. We talked about how slaveholders viewed slaves as property, not human beings with the same “unalienable rights” that Thomas Jefferson wrote about in the Declaration of Independence. It is a concept that is unfathomable to my students. As it should be. 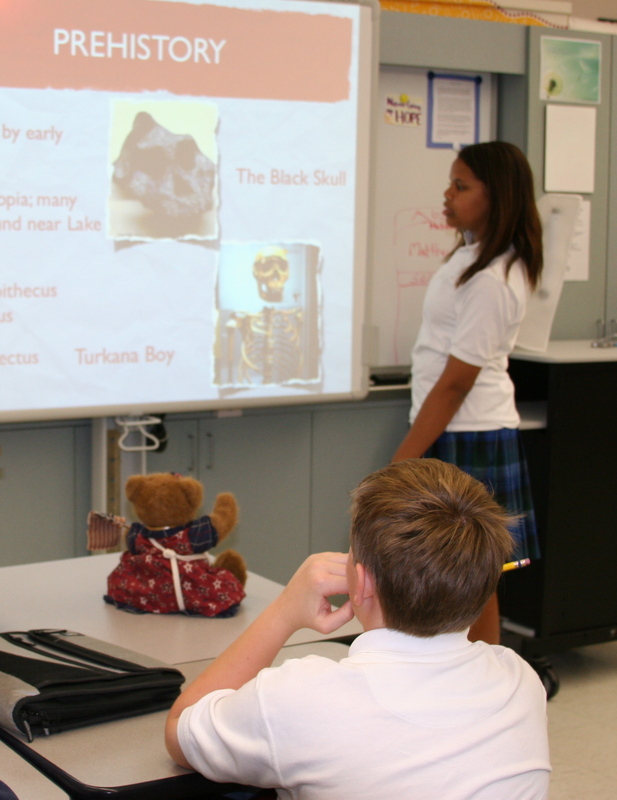 In the afternoon, Sallie and I enjoyed a few more of our seventh grade presentations about Africa. Each student researched a different African country, created a powerpoint, and will be teaching all of us about the history, culture, and current political climate of the country they studied. So far, we’ve both been quite impressed with the work our amazing seventh graders have done! 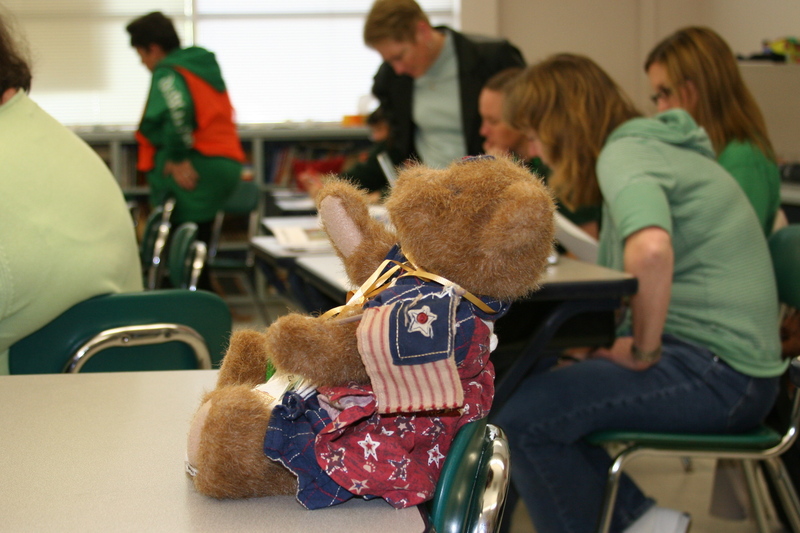 Sallie will be with us Monday and Tuesday of next week, so we will have to pack a lot of learning into those two days. I’m sure Sallie will also want to visit that third grade classroom. I’ve told her all about our resident Southern belle, Mrs. Sihler. I’m sure Civil War Sallie would love to have a chat with her! Civil War Sallie finally arrived at CTK this afternoon! Just in time for our faculty meeting after school. She was most happy to get out of her traveling compartment (aka, big, brown box) even if it meant sitting around listening to teachers talk about budgets and test scores. 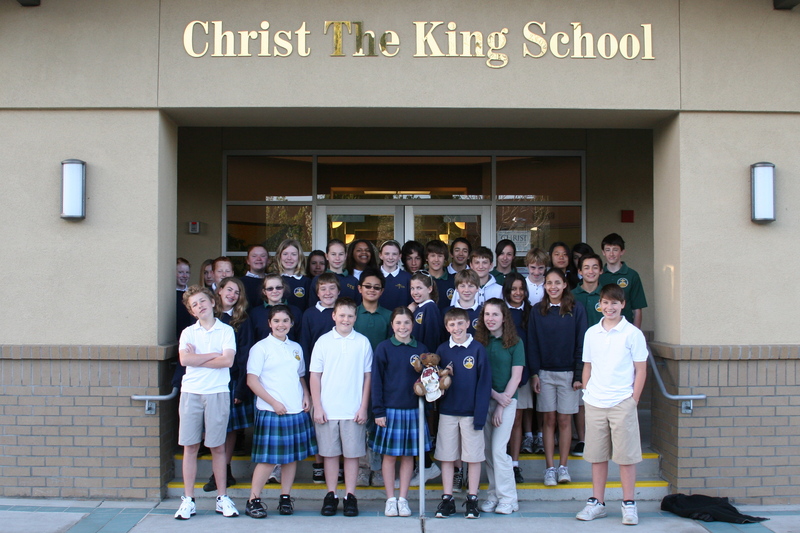 Sallie is looking forward to meeting all of the wonderful CTK students and staff. I know she’s particularly anxious to hear what we know and what we want to know about the Civil War. I bet she’d love to sit in on some of the seventh grade Africa presentations, especially if they’re all as fabulous as the ones we saw today! She’ll probably have lots of questions for us. She had one or two for the faculty today. While I may not have any pie to help us celebrate Pi Day, I have the next best thing. Screencasts!! What? You don’t think that’s the next best thing?! After all the screencasts YOU made??? Sheesh. There seem to be some sound issues for some students. I’m not sure yet what’s going on, but I’m investigating. It sounds great on my PC, so I’m not sure where to start. But I’ll keep looking.